This is Australian’s national anthem. Peter Dodds McCormick wrote the lyrics and produced the music. Peter McCormick is a Scottish composer. It was first performed in 1878; but it was not the official anthem until 1984. 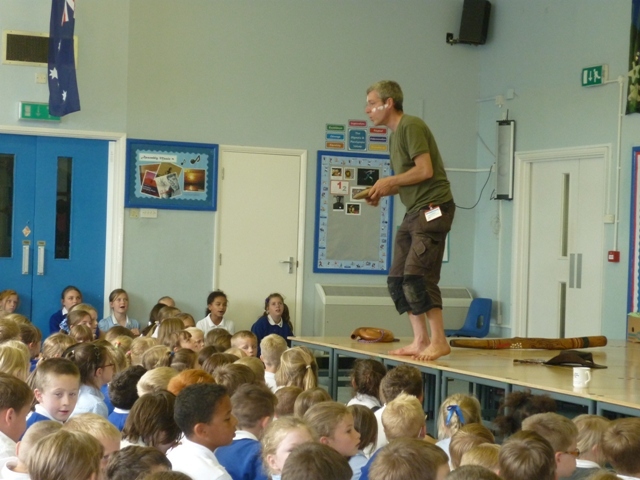 Chris Holland finished off his three-day stay at Holbrook with a storytelling session to the whole school. 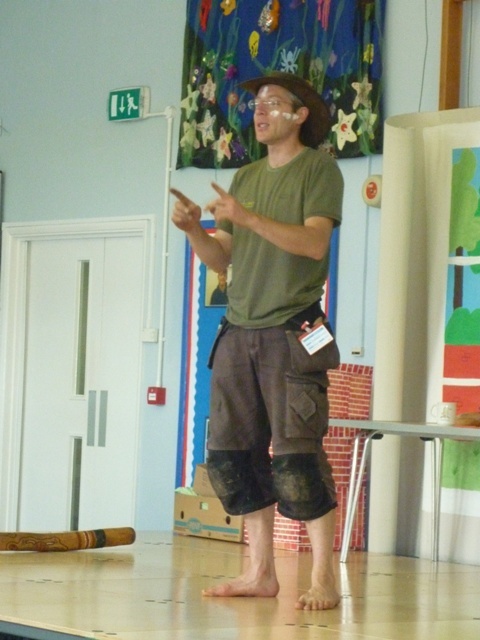 As well as telling Dreamtime stories and playing his didgeridoo, he led the whole school in a song and a kangaroo dance. He said every gathering needed stories, dance and singing! 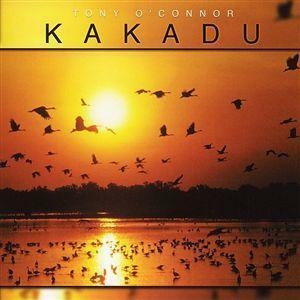 So far this year, we have had lots of enjoyable music in assembly and now we have a new album called ‘Kakadu’ by Tony O’Connor. We have listened to two tracks so far: ‘Ode to the Bush’ and ‘Floodplain’. We think that the children and members of staff have really enjoyed them. That is what I think. What about you? On the 1st of March some of the Year Fives and Year Six pupils are doing the dance festival in Bath at The Forum. The theme this year is ‘Around the World’ so, of course, we are doing an aborigine dance to celebrate Australia year. We are all in small groups. We are all in groups of five. Each group has to do a dance based on an aborigine story, for instance Matthew’s group is doing how the crocodile became a crocodile. Some are doing how the kangaroo got its pouch and how the rainbow serpent came to be. Another group are showing how the koala became a koala. The music we are doing to it is also aborigine. It is called ‘Red Earth and Singing Skies’ by Iskelu. We are going to rehearse on tomorrow at The Forum. Other schools will be there. We have also been practicing at school and today we are going to perform it to the whole school. Some of the pupils have made some fantastic masks and accessorises. They are colourful and are well made. Also they were hand- made by them. We hope that all our time and effort has made a difference. Luckily, we have a brilliant dance teacher to help and support us all the way: Miss Gough is her name. So wish us luck when we go on stage. 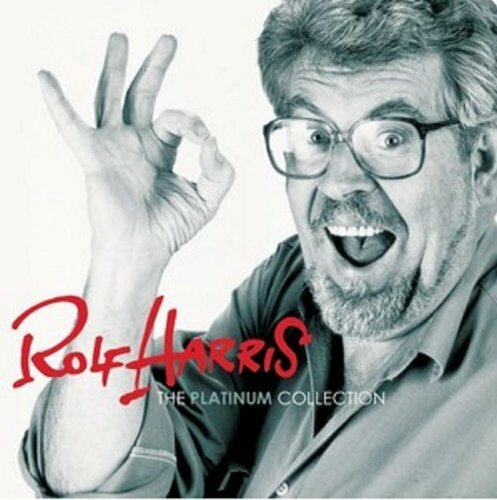 This term, Mr Whitewick has chosen Rolf Harris’s Platinum Collection to play this term. 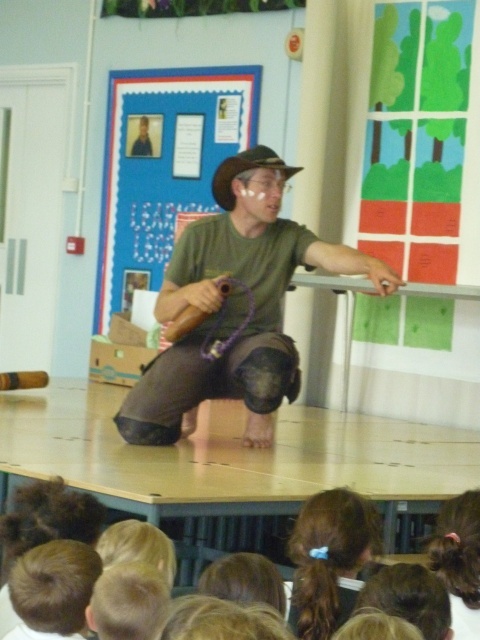 We first put’ Tie Me Kangaroo Down Sport’ which the school enjoyed as they soon became familiar with the lyrics and joined which could be quite annoying. The next song we played was ‘Two Little Boys’ which I think is nicer as it’s not so repetitive. I would like to listen to the duet that Rolf did with his dad called ‘The Gendarmes’ Duet’. At the weekend in Melbourne, a big orchestra concert held at the Plenary Hall in Melbourne’s Convention and Exhibition Centre. Whilst different pieces of music were playing, monsters such as the Cybermen, Daleks and the Silence. The performances were hosted by Mark Sheppard who appeared in the first two episodes of the new series shown last year. It was the first time Australia had held a concert like this and it proved it was successful as it sold out! 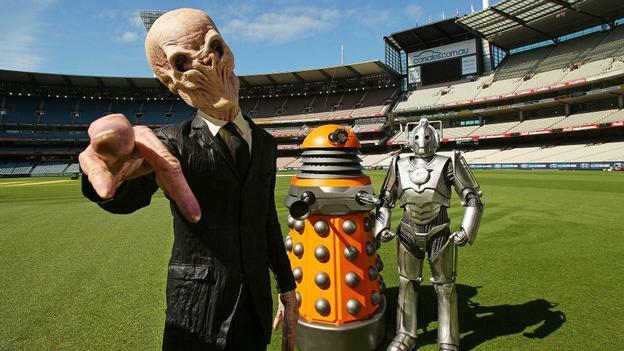 It was inspired by the BBC Proms Doctor Who special. 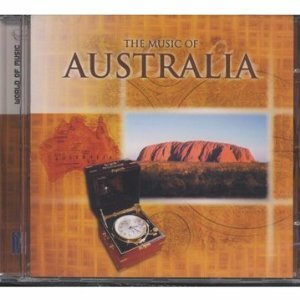 Our assembly music this term is from the CD, ‘The Music of Australia’. The songs we have had so far are ‘Wagga Wagga’ by Steve Southcrest and ‘Waltzing Matilda’ by Inishkea. This week we are listening to ‘Uluru’, also by Inishkea. 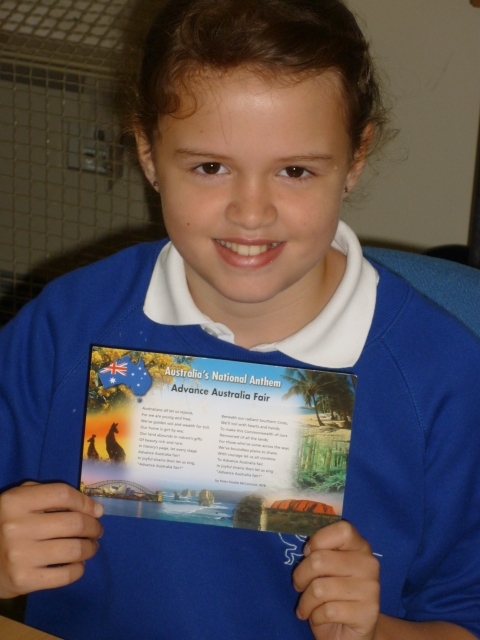 My favourite one has been ‘Waltzing Matilda’ because I like the sound- Sophie. The songs still to go are: ‘The Land that God Gave’; ‘Yallock Hill Blues’; ‘red Earth and Singing Skies’; ‘Sacred Stones’ and ‘Ginningarna’. The musicians are Steve Southcrest, Inishkea, Iskelu. Which one sounds best to you?